The last post left us with smooth sailing along with Jonah. He was on his way to Tarshish. That was the west, the wrong way. Let’s pick up the story. I think God got Jonah’s attention. At the beginning of the story, God chose Jonah to go to Nineveh. Nineveh was a physical place with a spiritual purpose. I think that any place can be significant in God’s eyes. May I suggest that God has a reason for the fish even though Jonah was supposed to go to Nineveh? 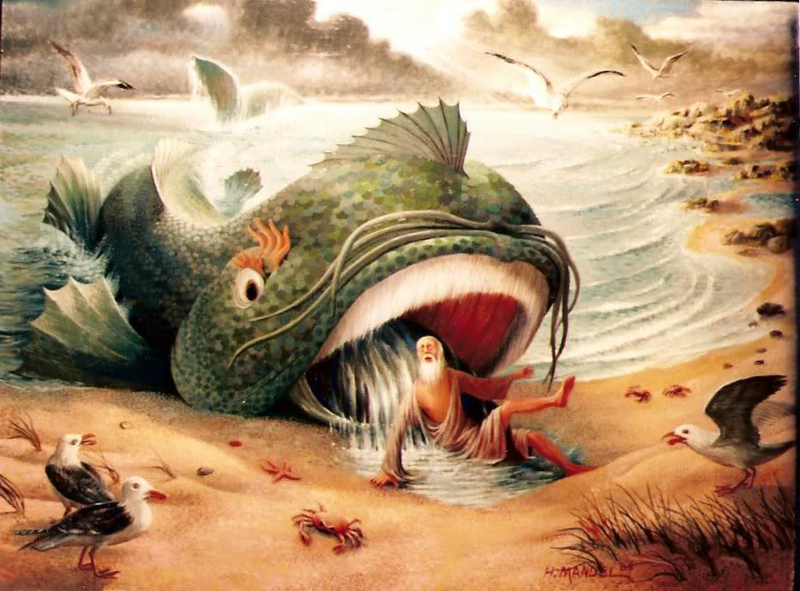 It comes to this: God chose Jonah and then sent a fish to get Jonah’s attention. Here are my thoughts on why God used the fish. 1. It was to save Jonah’s life. He would have drowned if God did not intervene. 2. It was to serve Jonah a lesson. The intensity of our disobedience is directly related to the intensity of God’s discipline. 3. It was to show Jonah love. He could have let Jonah drown, but he didn’t. He could have called another prophet to Nineveh, but he didn’t. He could have sent fire and brimstone to destroy the wicked city, but he didn’t. Instead, God demonstrated His love for Jonah. God will answer. So stop going west (away) from God and head east (toward) Him.